Account-based marketing (ABM) has been all the craze lately. But behind all the hype, there are many potential pitfalls that can occur when implementing the strategy. With most ABM campaigns taking six months or longer to bring returns, it’s more crucial than ever to track success and, if needed, make adjustments along the way. 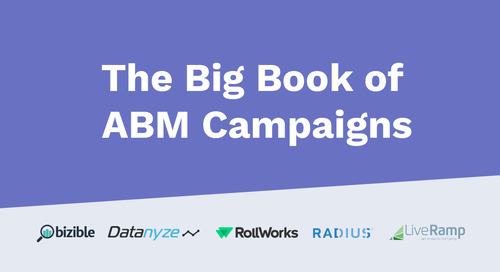 That’s why we teamed up with Engagio and Bizible to bring you an actionable ABM measurement guide.